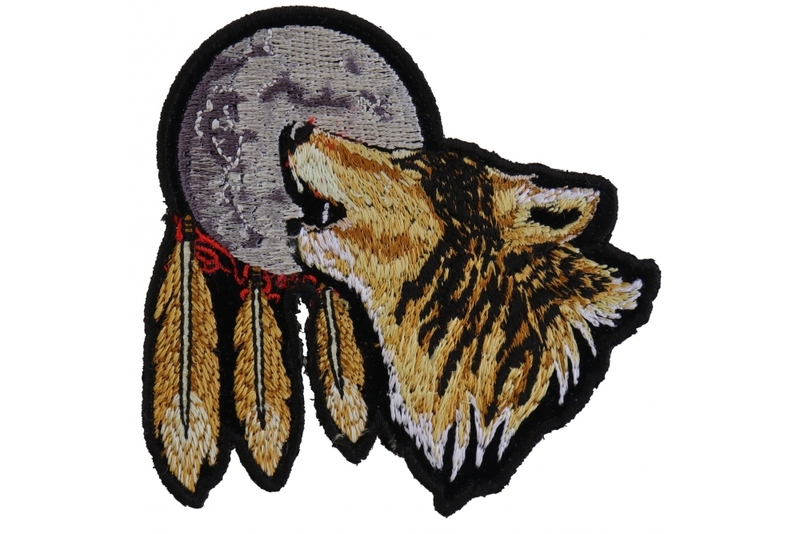 Wolf Moon Small Patch is embroidered in Black / Yellow / Gray / Red and measures 3.5x3.5 inches. 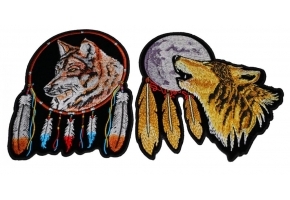 You can sew or iron on this patch. 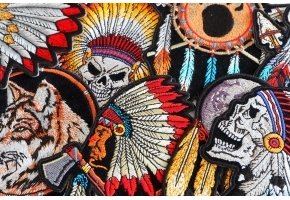 If you are applying to leather refrain from ironing on the patch. 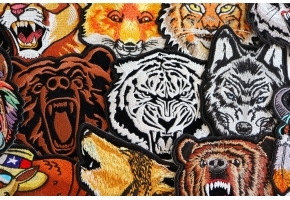 The embroidered badge does feature die cut borders so you can easily sew it on. 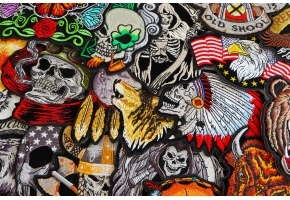 You can purchase patches wholesale from us as well.